We’re getting dangerously close to the end of 2011. If you made any New Years resolutions this year (and if you read this blog, I’d wager there’s a pretty good chance you did), how are those coming along? If you’re like a lot of people out there, you might find that those hopeful thoughts in January are starting to get replaced by excuses or maybe even a sense of defeat or futility. But why is is that people don’t achieve their goals? 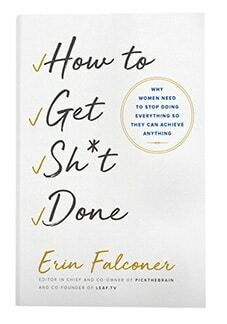 What keeps them stuck, unable to lose that weight, make more money, find the love they really want, or do the countless other things to make themselves happy? Here are the 4 things that keep most people from reaching their goals. Maybe you know that you want more friends, you want to make more money, or you want to start a business. You probably have at least a vague idea about what you want, but have you ever sat down and painstakingly thought about exactly what you want down to the last detail? When you can put yourself in the ‘future you’ shoes and start to imagine life from that point of view, you’ll have a real and concrete idea about what you’re working toward. Your goals will be clear and you’ll know exactly what you want. Maybe you know what you want extremely well. However if you don’t have the right plan, you’ll likely never be able to achieve it. Taking action is great, but if you’re just taking any old action, you won’t be making consistent and steady progress toward your goal. Somethings might take you a step closer to what you want, while the next things moves you away from it. A common example of this is when someone tries to learn how to start an online business. Many beginners (like myself, not too long ago) end up getting seduced by the latest ‘shiny new thing’ and keep jumping from one program or course to the next, never really making any progress. The solution to this is to study someone who is successful at what you want to achieve and follow the same plan that they used to get there. Success leaves clues, so follow those and use them as your plan to guide the way. Are you around negative people most of the time? Is your life just too hectic to give you a moment’s peace to get clear thinking? Maybe your workspace is too cluttered to focus on what needs to get done. I’ll be honest, not everyone is gifted with being in the right situation, especially when they are just getting started reaching their goal. If you don’t feel like you are in the right environment to support you, you may need to take some actions to fix the situation. Make the effort to create a tidy space to keep your creativity flowing, block off time away from cynical people to do the things you want to do without guilt or judgment, take some personal time to just hear yourself think once in a while, or do whatever it takes to get yourself into a situation that maximizes your chances of success. The last big thing that keeps many people from finding the success they want is a proper mindset. If you’re reaching for something that’s just outside your comfort zone, it’s not uncommon to go up against your limiting beliefs. Fears that you’re not good enough, doubts that you don’t have what it takes, or even hesitations and second-guesses that what you want is really even possible are common. Many years ago, I learned that the best way to overcome a limiting belief is to try your hardest to prove it true. Commit to giving it your best shot and move forward anyway despite the fear. If you have a belief that you are too shy to ask someone out, then prove it! Go and force yourself to ask out ten people. If you think you just can’t lose weight, then prove it! Improve your diet and exercise routine and see if those pounds don’t budge. This will likely make all of your fears go from a quiet whisper in the back of your mind, to screaming at you at maximum volume, but keep pushing through it. The point isn’t to back down when your limiting beliefs come up, it’s to get in the habit of barreling through that fear and taking action anyway. Before you know it, you’ll embrace the fear and, although you may still feel afraid, you won’t use that as an excuse to not take action. Do any of these sound familiar to you? If you’re anything like me, you can probably relate a little bit to each of them. 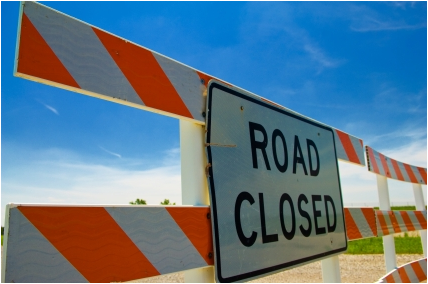 But if you recognize any of these roadblocks, you shouldn’t feel bad. Accept that they are keeping you from success, and work on overcoming the specific obstacles that are holding you back rather than feeling stuck by vague limitations. Getting clear and identifying exactly what’s in your way is the first step to moving past the roadblocks that keep you from where you want to go. Clay Andrews has a lot of personal, first-hand experience with dealing with obstacles. Although, he hasn’t got it all figured out yet, he likes to think he’s made some good progress. He also writes a blog on relationship advice and another on lifestyle design. Go visit one of them and say he (he doesn’t bite, and he loves meeting new people! ).